It doesn't get any more important than Game Seven of the Stanley Cup Finals, so we went to the source to find out which team will get to hoist The Cup. Let us start with the visiting team, The Boston Bruins. 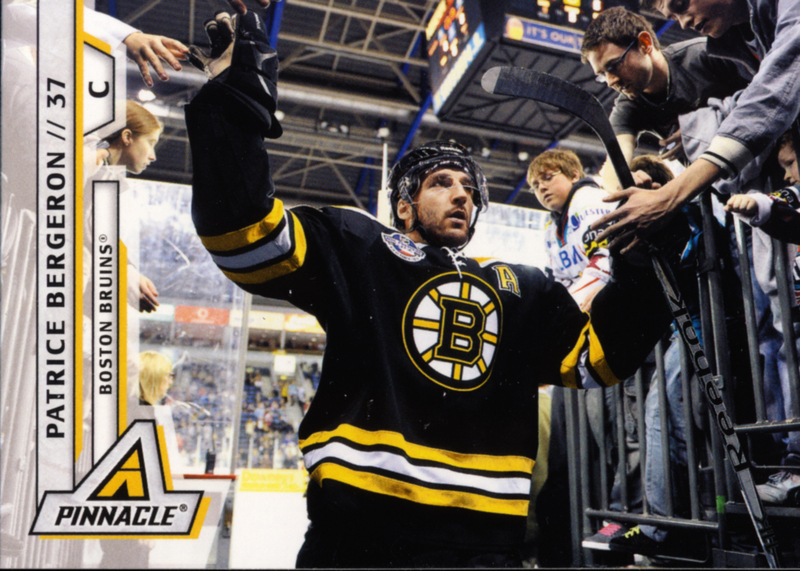 An early pull, Patrice Bergeron. That's one goal. 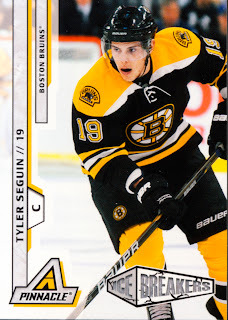 A sweet pull of a Tyler Seguin Ice Breakers! That's two goals. And now for the team with the home ice advantage, the Vancouver Canucks. NADA... A big goose egg. I had to double check this one. And then I triple checked it. 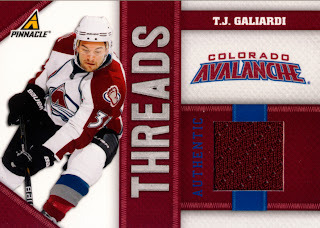 In all our other blasters we had Canucks being pulled at a massive rate. This time there were none to be found. Coincidence? I think not. So in a shocking turn of events, here is the prediction for the seventh and decisive game of the Stanley Cup Finals. 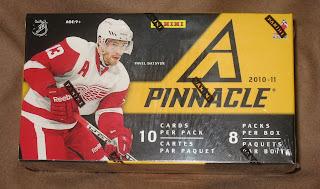 Let's see if Pinnacle Hockey Blasters are good enough to go 3 for 3. 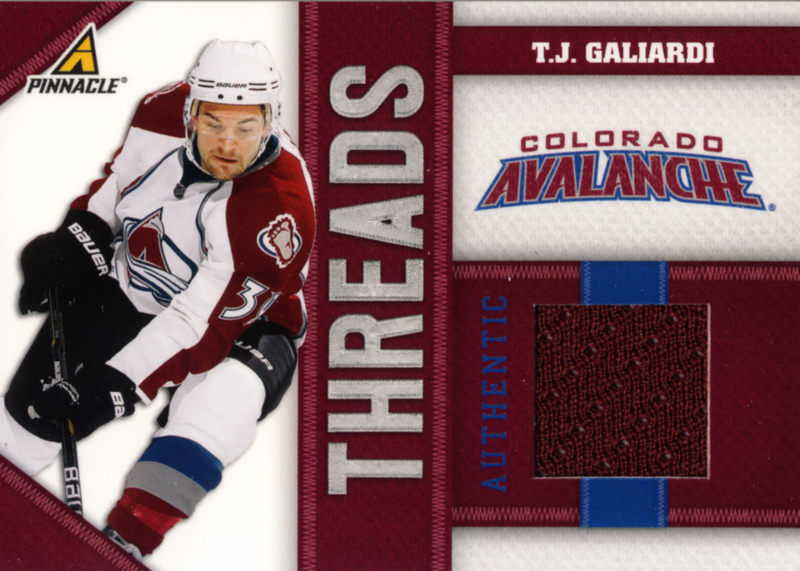 By the way, here is our hit for this blaster. Awesome. Looking forward to the Bruins blanking the Canucks. Daniel Sedin will find out he's no Mark Messier. 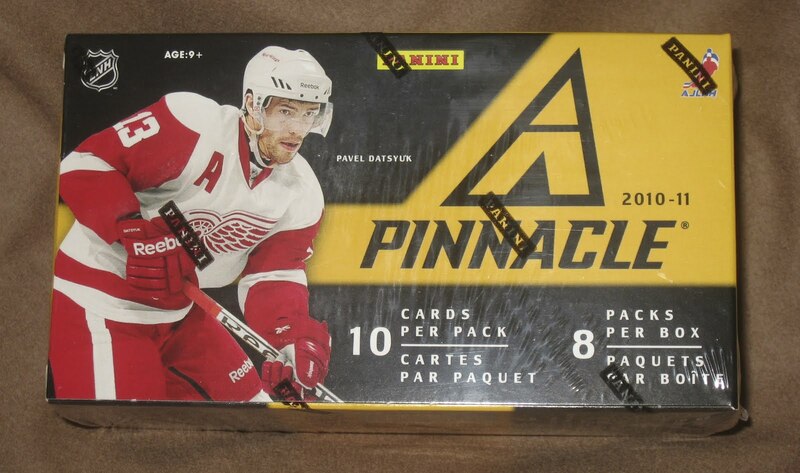 ALL HAIL THE PINNACLE RETAIL BOX! That is absolutely eerie and fascinating at the same time that a box of cards correctly predicted the winner of a hockey tournament. Almost as good as the octopus that kept nailing the winners of the World Cup last summer!